Irritec's Quick Release Riser is often used in pasture irrigation with the Quick Release Valve and impact sprinklers for fast and easy change or removal. Also used in "Quick Drop" pivot applications. 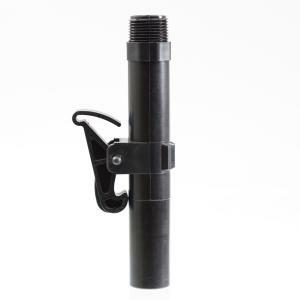 Can be used in systems with Connecto fittings and Speed Riser assemblies with the Quick Release Valves for creating Quick Drop Systems. Some of our customers refer to these as "stab fittings".